Rather than manually creating the JIRA issue and linking it, "push" a Canny post to JIRA. 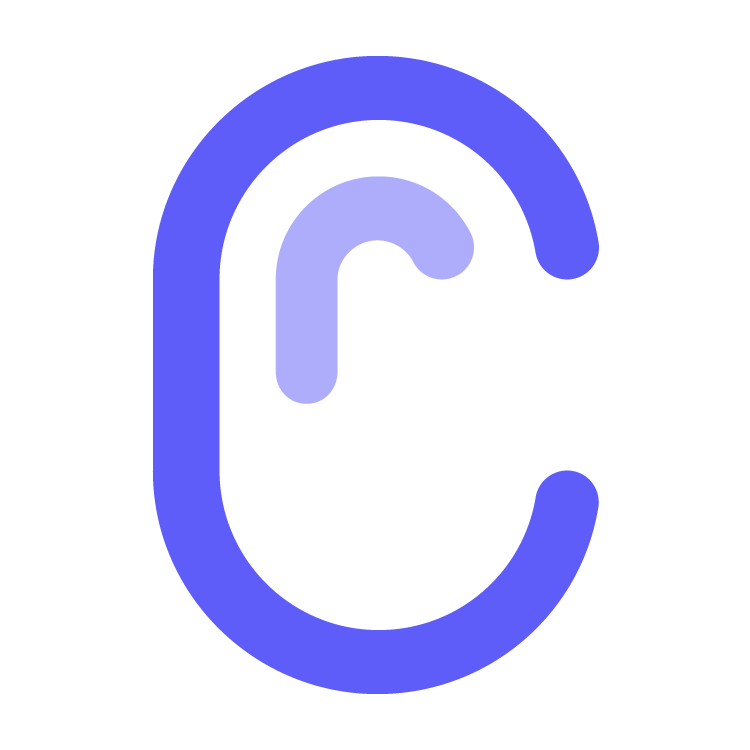 This creates the issue, and links it back to Canny. And works nicely. Did you want feedback here or in a new ticket @Andrew Rasmussen? @Andy Fleming: Hey Andy, shoot us a message on live chat and we'll take it from there! You will have to re-install our Jira integration in order to use this feature. This is because we now require additional privileges (write scope). After re-installing, none of your issue links will be lost. If there are any important fields you feel are missing, or something doesn't work as expected, please reach out to our team. Starting our work on this! Please include any important details we should consider if you haven't already. Yes, yes, yes. Was just about to request this as well. One thing that would be really important is, while in Canny, being able to select which Jira project the issue is created in. Also, I'd like to see the Jira issue's title and description pre-populate with the Canny post title and description. Hi @Sarah Hum thanks for Merging that in. Realistically is this likely to happen in the short to medium term? It's likely a dealbreaker for us in moving forward with the subscription. Thanks @Andy Fleming! It's possible, but I can't make any promises without knowing more about how you envision it working. I sent you a message as well. 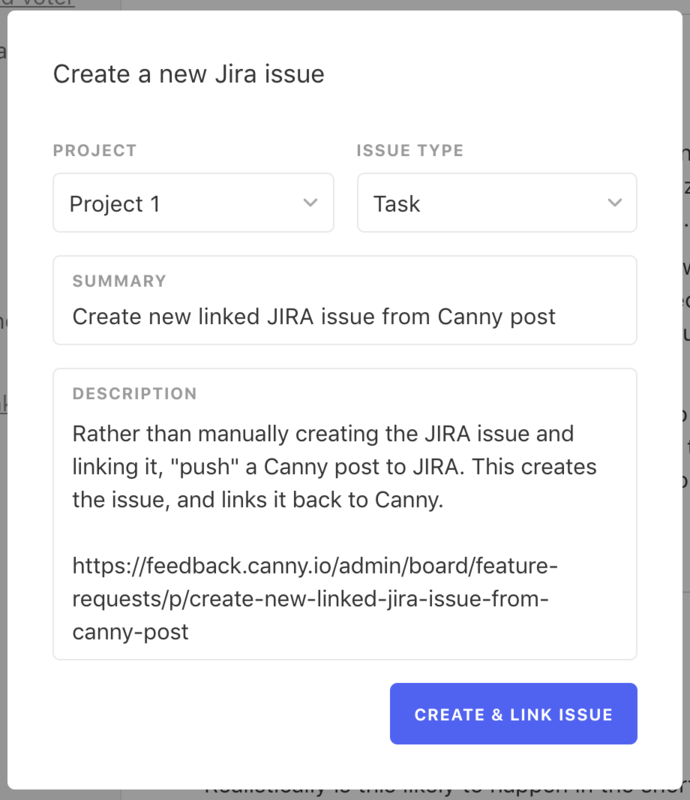 Linking a Canny post to a Jira issue and having it show up in Jira is great, but the final piece of the puzzle for us is to be able to generate a new Jira issue from a post. Should leverage the existing find/link workflow, but have an additional option to select a Jira project and then create a new issue with the Name mapped to the Summary and the Details to Description.